There are over 30,000 agencies in the UK. The industry is rife with tips and tricks to raise your business profile and profits to stand out amidst the thousands of potential competitors. Winning new business is the agencyland’s lifeblood. The Drum caught up with Neil Stanhope, managing director of branding agency Underscore, to find out about his arguably extreme and star-studded route to winning new business – going on TV. Stanhope was approached by Alex Polizzi, The Hotel Inspector who tries to salvage some of Britain’s worst hotels on Channel 5. Underscore were tasked to help distracted hoteliers John and Mel, who were struggling to maintain the attraction of their ‘Regency Rooms’ amid other grand plans. The hoteliers opened Peaky Blinders – a themed craft ale bar in Southport with a boutique hostelry above, named the Regency Rooms – that was failing to capture the same levels of interest as their bar downstairs. Proprietor John was racing ahead with ideas for other ventures he wanted to launch – a tapas bar, an organic chicken shop, a roof terrace – even though the hotel rooms were still a work in progress. It was time for Polizzi to step in. Bringing in Stanhope as the branding experts to help, they quickly reviewed the existing and potential customer flows of both hotel and bar businesses, the differing appeal levels of their brands and the competitor landscape. The briefs are always short and it requires plenty of reading between the lines, but this particular brief was helped by the fact that Stanhope knew the brand and location well. This moment has allowed the brand to go from strength to strength with a Peaky Blinders cocktail bar now added and a huge new addition to the chain soon to open in Liverpool. For Underscore, the television exposure created a credible impression with new audiences. And as an overnight brand building process, there is no rival. Both the strategic approach and its effectiveness were showcased to millions of potential new customers. 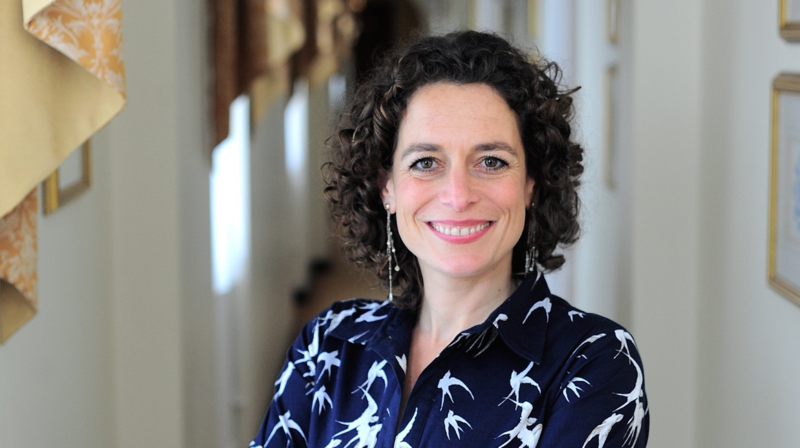 The vote of confidence from respected business advisor Alex Polizzi carries a lot of gravitas with the general public. Are you using TV as a method of gaining new business? It’s simple, if the opportunity presents itself. Stanhope commented: “After every screening we prepare ourselves to hear from entrepreneurs and business owners of all shapes and sizes, and somewhere within the many Dragon’s Den type enquiries there are usually a number of very serious and long-term brand development opportunities that make all the preparations for the television shows more than worthwhile.